Are you an advertiser looking to reach a targeted market? We have several sites that are dedicated to the paint contracting industry. 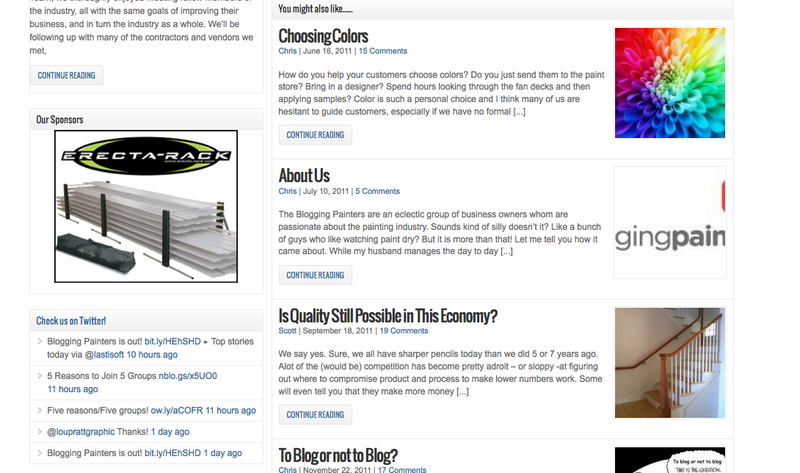 Our two most popular are Blogging Painters and Topcoat Review, these two sites have 16,000 to 17,000 page views monthly. 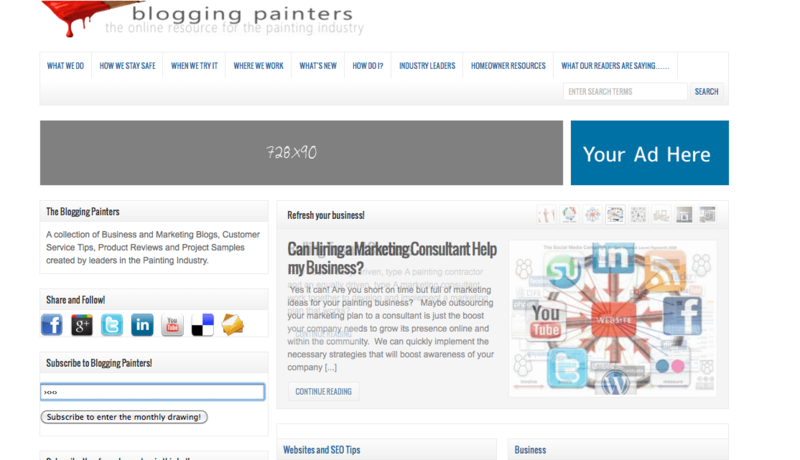 These niche sites cater to painting professionals and both have a wide Social Media reach and loyal readership. We have a large Social Media network and can share content through Facebook, Twitter, Linkedin and other outlets. We are able to share information through our network in an organic, natural way to the readers whom subscribe to us.